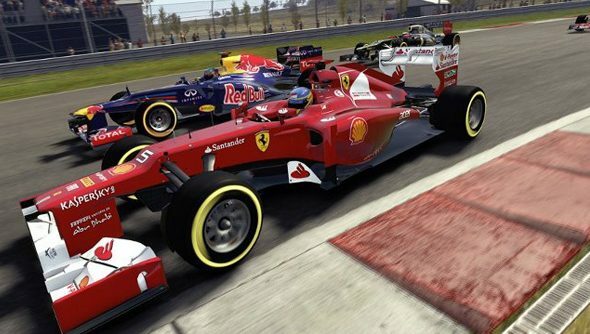 F1 2012, the next game in Codemasters’ increasingly successful Formula 1 series, is going to be gracing our lovely PCs in the very near future. And a bite-sized chunk of the game is going to be available to download at some point tomorrow. The idea is that you get to try this bit for free, and then if you like it you can buy the game when it comes out. It’s a pretty novel idea, and I think it could catch on. F1 2011 put to rights a lot of the problems that people had with 2010, where the cars on the track didn’t correspond to the cars on the position board, which was a bit of a misstep from Codemasters really, but so long as that’s not the case in 2012, all will be well. And you can test it yourself, with this new fangled ‘Demo’ that they’re putting out. There’s no word of exactly when it’ll be made available, but it’ll be on Steam when it does, so if you’re a fan of men strapped into big chunks of metal that go hilariously, dangerously fast, you might want to pay attention to the demo page of Steam over the next few hours. And, as is the way of things, Codemasters have launched a video to go along with the demo. Lovely.